2015 is a year with many anniversaries, but one in particular that film and photography buffs around the world can celebrate is this is the year Marty McFly famously traveled to in Back to the Future 2. 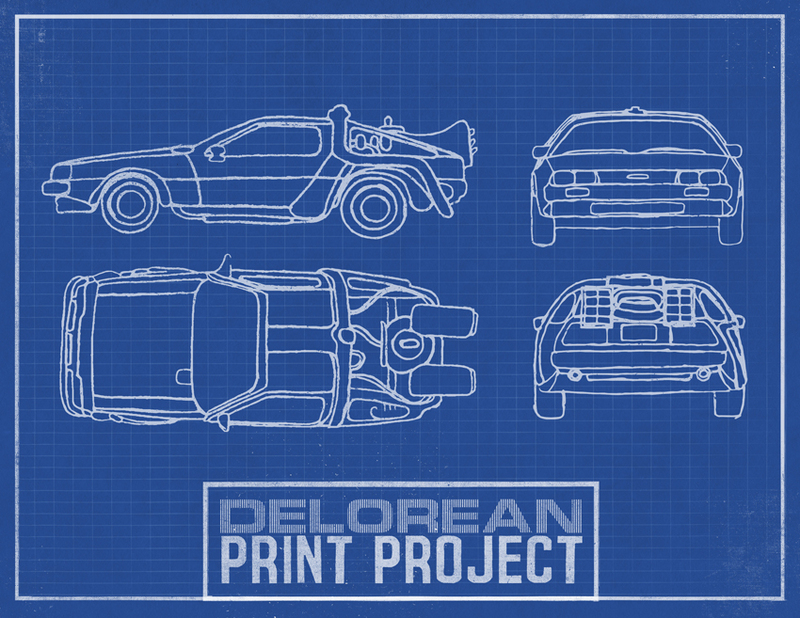 To commemorate this particular anniversary, the internationally recognized Belfast Photo Festival will be building and sharing its own DeLorean, but with a twist. Fusing the mediums of both sculpture and photography, artist Cyril Hatt will work with more than 150 former employees of the DeLorean Motor Company to build a replica of the DeLorean from Back to the Future 2 through an in-depth photographing of the original car, with each image then printed on to aluminum plates that will be assembled to create a life-size replica of the car. 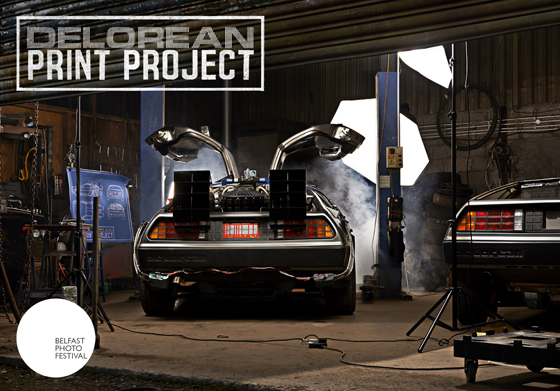 The DeLorean factory was originally based in Belfast and the former employees intend to reunite once more to celebrate the cult following the car has earned along with the 35th anniversary of its world debut. One of the many interesting facts that have come out of the planning for this anniversary is that the former employees of the factory actually added their own personal touches to the car—throughout the inner body of the car are messages inscribed by the employees that provide a singular look into the anticipation and joy they felt while working at the DeLorean Motor Company. To make this a celebration unlike any other, the former employees will travel from all around the globe to meet in Belfast and join the staff of the Belfast Photo Festival in adding a new generation of unique messages to each new photographic aluminum plate that make up the Back to the Future DeLorean Time Machine. Anyone attending the Belfast Photo Festival is invited to stake a claim on a piece of this one-of-a-kind photographic sculpture. Visit Belfast Photo Festival or the festival’s Kickstarter page to learn how you can help make this project a reality. The Academy’s Photography School students are encouraged to look into this campaign to get ideas for their own work.